Last week B received a call from his brain surgeon’s PA, requesting an appointment. My initial response was alarm – one doesn’t like to hear from people like this out of the blue. After confirming that it was purely to see how he’s been faring these past 4 years, B agreed. I went along to the consultation just to check that he wasn’t planning to crack open B’s skull for another go. It was good to see “The Business” again – he was as charming and personable as ever. After discussing B’s condition I asked whether any major changes have affected his work during recent times. He said yes – they are now using a special dye to distinguish brain tumour tissue from healthy tissue and he has purchased the first robot in the UK to assist with brain surgery. At this point I suggested that he can probably ‘sit back and relax’ now. He replied ‘not quite’. B spoke about his problems with concentration and the speed of his mental arithmetic processes. The Business mentioned a new program of ‘intense brain training’ or ‘brain conditioning’ that he’s recently introduced, that may improve things for B. It won’t make him exactly the same as he was, but he should see a difference. As it’s brand new, insurance won’t cover it so we would have to pay – up to £3k for the 12 week course apparently. Nevertheless it sounds really positive so B is going to attend an initial consultation with a therapist to see whether it might benefit him. Another positive outcome of the meeting is that The Business is going to add B’s 6 monthly scans to the agenda of his regular ’round table’ meetings – neuro-oncologists, surgeons and other brain specialists gather regularly to discuss tumour cases that are in progress. It gives me confidence that no changes will be missed. The more experts that check these things out the better, in my opinion. 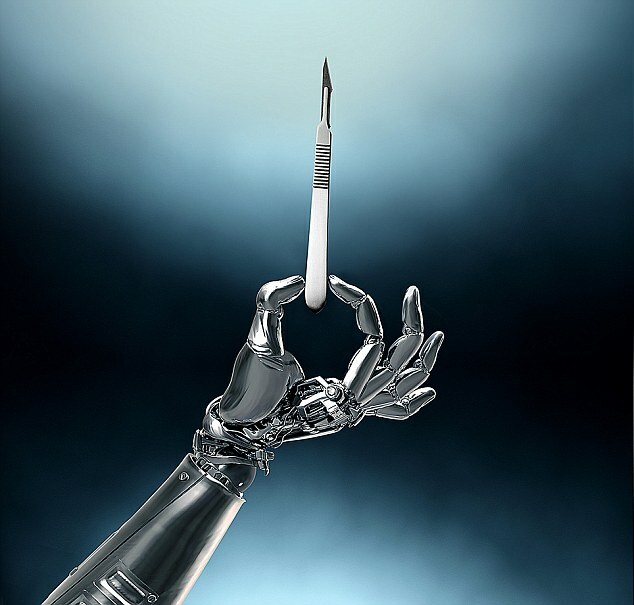 I ran across your blog while doing a search of the image of the robotic hand with scalpel. I really like this image and would like to consider using it for a book cover of a medical thriller I’ve written. Do you know perhaps where the image originated or who if anyone owns the copyright?? I’d be willing to pay for the rights to use it. Thank you in advance. Hi John, sorry I don’t know, that was a while back! I use a variety of images sites so no idea where it came from.